The Spartan DX Personal DNA Analyzer is a real-time PCR device that checks a DNA sample against a database in just thirty minutes. 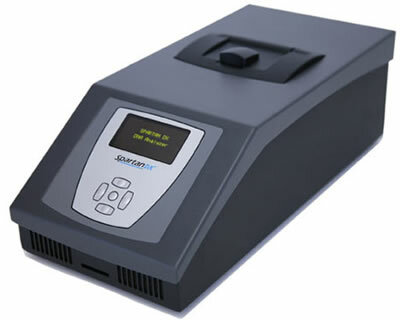 No bigger than a desktop PC, the Spartan DX Personal DNA Analyzer uses PCR (polymerase chain reaction) techniques to get results fast; it also does four samples at a time. Easy data storage and transfer lets you hook up with those DNA databases you've been reading about; learn to use it in just ten minutes. And at $14,995, you'll want several. This research-only device is just begging for application in some sort of futuristic lab or organization. Like maybe in a Gattaca-style research center. 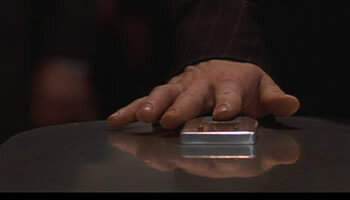 In the future society depicted in the film Gattaca, employment is strictly controlled. Certain positions have absolute genetic requirements, which is why employees are tested every time they enter the building. Read more about the Gattaca fictional device (it's much quicker) or find out about the real-life counter part at the Spartan DX Personal DNA Analyzer website. Biometric authentication: what method works best?